Step 1. Go to the Viper4Android XDA thread here and download the latest version of Viper4Android FX. I recommend the FX version as it has more features. Step 2. Next download ES File Explorer app which will allow you to unzip the downloaded file. Step 3. 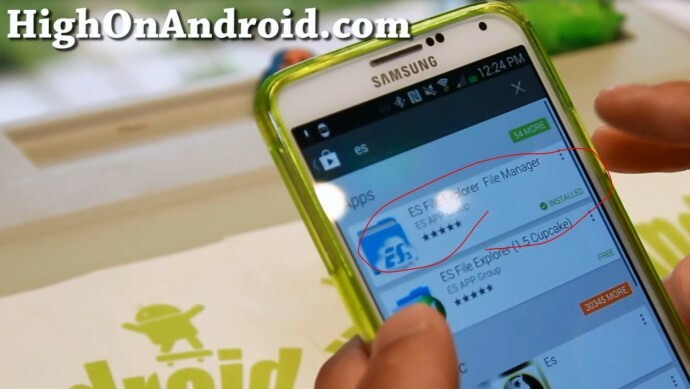 Use ES File Explorer to unzip the Viper4Android zip file you downloaded. Step 4. Once unzipped, you will find two different APK files. If you are using Android 2.3.X Gingerbread, use the APK file with “2.3” in it. 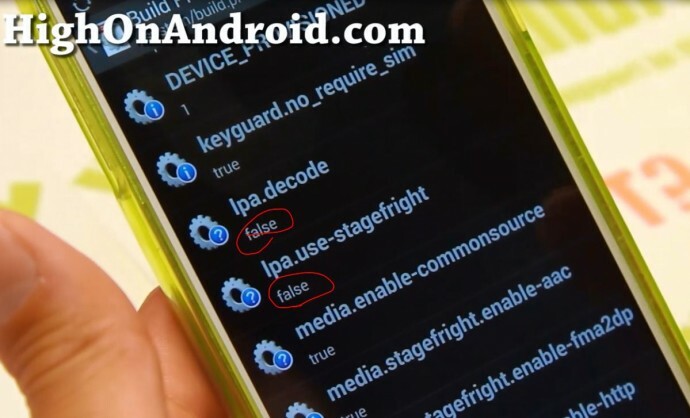 If you are using Android 4.X such as ICS or Jelly Bean, use APK file with “4.x” in it. Select the APK file and install. Step 6. Viper4Android app will ask you to install V4A driver, choose “Yes” to install. Step 7. There’s three different choices for Viper4Android. If you want to have the best audio quality, choose “Super Audio Quality”. Step 8. This next step may be optional for Samsung phones, I found that you have to do it so it works with music player apps such as Google Music Player app. 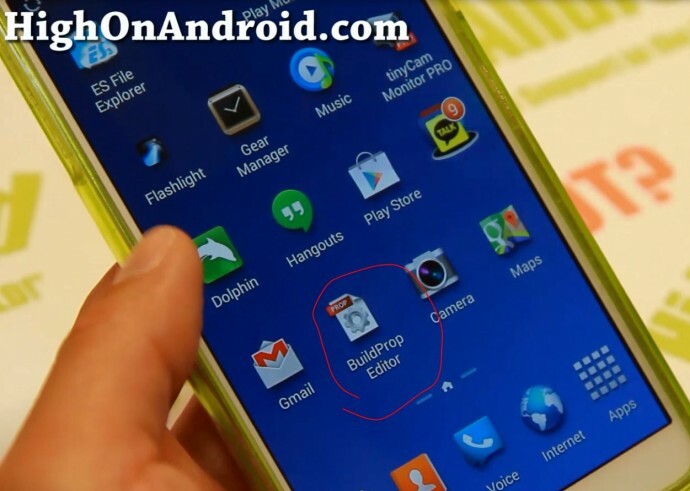 Download and install Build Prop Editor from Play Store. Step 10. Reboot your phone and now you should be able to fully use Viper4Android. Step 11. 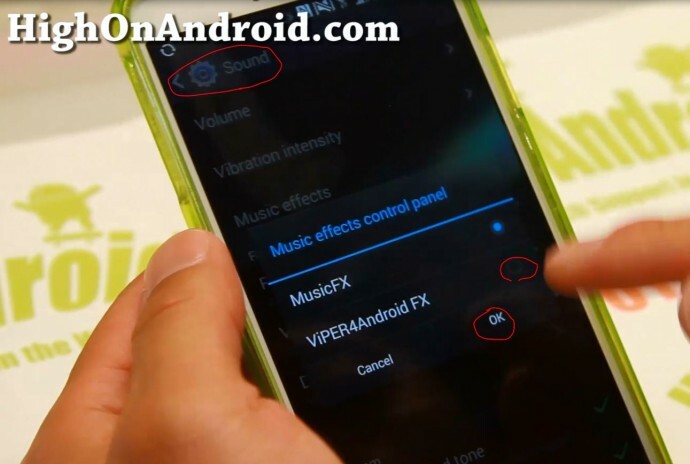 Once rebooted, go to Settings->Sound on your phone and change “Music effects” to “Viper4Android FX”. This will fully allow your phone to use Viper4Android app for all audio apps. You can skip that step if you can’t find it, should work fine. I did and tried and nothing happened when loading it didn’t seem to change sounds at all would having DSP manager already installed be the problem? Hey, this app is available on play store for free but its just not in English in the description. You can tell which one is available for the android version you’re running however. Try uninstalling beats, then reinstall Viper4Android. I tried that unfortunately Vier4Android Fx has stopped .. after installing beats my Samsung music app stopped working an Music Fx stopped worker also Viper stopped working .. Any idea in how i can fix those problems ? Beats, worst program ever to get rid of, short of doing a complete reset it never wants to go away. That’s what I had to do but that doesn’t mean there isn’t an easier way, its just the only way I could get rid of it and get my drivers back. Hope you can find an easier way but its the only thing that worked for me. Good luck ! when u say a complete rest do u mean Factory reset ? I’m sure you probably tried that, DEFINITELY try that first, but beats isn’t that easy to get rid of . it was my experience that I just had to replace the drivers with the infected beats, you can’t just uninstall it. Now I’m not a pro by any means,, this is just my hobby, but I’ve done a hell of a lot of trial and error with my note 2 and the only way that I could FULLY remove beats from my drivers was to reinstall new filmware and start from scratch. this is just WHAT I DID because I knew it would work and i got ALOT of time on my hands and i enjoy it. IT DOESNT mean there isnt an easier way. But if youre like me and love to take things apart and put them back together it`ll work. But AGAIN, I’m no pro, just love to get high on Android. Good Luck man and if you find an easier way to totally rid your phone (drivers) of beats, post it on here for others. P.S. it was worth it to me because viper blows beats out of the water!! No Contest!!! i dwl the file from xda the fx version and when trying to open from es explorer it says bad zip file any idea? Hey mano, you’re rooted and have recovery right? Hi Max! I have downloaded and install V4A on my GT-n7100 and it works with my stock samsung music place which has been my default music player. I am so happy it works with it. Thanks to Jasper Loo (zhuhang) for this app also thanks for posting it here. After “reinstall” SuperSU on my galaxy sii, it solve the problem. “Reinstall” is under SuperSU’s setting manu. I’m getting the same error message “please confirm your phone is rooted…” … And I don’t see reinstall superuser in me settings. Its there another way to install the driver? Hey Mano, since youre new to all this, first thing to do is make sure youre rooted. An easy way is to download titanium backup from play store (free) when you open it it will ask you for superuser request if your phone is rooted, if not it will tell you in layman’s terms you dont have the binary (no root) and will not open. Or just download Root Checker from playstore (free) open it and follow the easy steps.. either way if your phone doesnt ask for superuser request you are not rooted but on root checker app it will tell you “congratulations your device is rooted” in green letters. If not, red letter response “no root access”. Try opening titanium backup app first, thats a sure fire way to know for sure. You may already know all this but it never hurts to ask. However, I dont know how you attempted to root your phone so just check for sure youre rooted, then go from there. Ill help you out anyway I can you you need it, (recovery), but one thing at a time is best, at least it was for me at first. Sorry I should have mentioned this first, I’ve got a galaxy note 2 SGH-i317m (Camadian) running the latest carbon ROM. Can you still help me out? cannot install driver on rooted i9305, have thelatest version which is compatable with viber. Which viper driver are you trying to install when it asks you to choose? Also, what rom are you running? (Android version) ? I put this on my stock but rooted note3 and it works great for a while. But it randomly stops working. If I reboot the phone it works again for a while. Any idea what’s up? I almost wonder if a notification trips it and makes it stop working? I had the same issue. Download the jrummy busybox installer after you install busybox do the buildprop step and reboot. WHALA! Does’nt work for me. Should i reinstall viper or just busybox? Any idea what could be causing the app not to work? Im rooted on my note 3 (sprint) it works if i click on the song twice on Google music. I’ve used the app before, but those are my first problems on my note 3. I had the same problem with my att note 2 with viper, the most important thing is to install the correct drivers when you first install viper,,, it asks you between 4 choices at the beginning. Depends on which android version youre using , and which rom, at least for me It does. I really only know about note 2, 3 and 8 devices. (Thats what I got) but in my experience a lot of sumsung devices are kinda like cousins. Blood related just different parents lol… but if you’re rooted and no damn bootloader bulsh*t, and really don’t wanna haggle with trial and error learning,,, the best thing to do is just install a rom with viper already. Less hassle. Just choose the correct viper drivers and that varies by your phone model and all the goodies you got installed already! THANK YOU! Step 9. finally, FINally, FINALLY, got it working after months of trying. Thank you for spending the time to get it working and most important, for sharing that solution with us. Good job with your videos and site. really enjoy it. (y) Thumbs up man! I watched the video above, went to http://vipersaudio.com/demo.html and previewed some demos. now i want it so badly in my Galaxy s2 (i9100). I installed and granted SU-access to viper4android (following your vids, of course). But, when I reach STEP 7 where it asks me for my sound quality, it halts with the error message “please ‘comfirm’ your phone has been rooted and su binary installed” . Though I can use the app, no audio driver gets installed. hence no avail. My phone is already rooted with SuperUser access granted to both Apps and ADB. I even installed another SuperUser app to see if if was somehow the default su-apps fault. But no luck. History of my device: My i9100 was rooted when it had stock ICS. Then I installed JellyBam. After that i updated the CWM-recovery for Kitkat rom, and now it is rooted, and running Beanstalk 4.4.2 . Do I need to root my phone again for it? Installed Beats Audio and VIPER4AndroidFX- Great apps!!!!!! Those two apps are working together!!! The best site I ever seen!!! I have a rooted gt-i9100, with beanstalk 4.4.2 . And when i tried installing viper, it asks me to check for root and su-binary. how did u install it? any guidelines? do i need to install beats prior to viper?? Question for buli141,,,,how can you run both beats and viper when you can only choose one music effect for sound? Would think one has to override the other. Do you have both icons showing on your status bar? My previous comment is still “awaiting moderation” 🙁 please max.. hear me out. I watched the video above, went to viper-audio-homepage and previewed some demos. now i want it so badly in my Galaxy s2 (i9100). Enjoy your brand new and fresh GT-I9100. Run app, will ask you to download binary, do this. After everything reboot your phone. So, on headphones you will see Beats and Viper. I had installed and tried all other super user apps except the chainfire one. The problem got solved by just installing Super-SU (chainfire). it downloaded and updated the SU-Binaries and voila, Viper installed its drivers and its working. Thanks a lot once again. Thanks a lot buli141 for your elaborated guideline! Really appreciate it. Where did you find a flashable zip for kitkat?? Only way I know to get viper fx for 4.4.2 is to install the apk in a file manager app. Please enlighten if you would! Thanks!!! Only way I know to get viper fx for 4.4.2 is to install the apk in a file manager app. Please enlighten if you would! Thanks! Can you please show us how to update Viper if a rom comes with an older version? I cannot get the driver to install. Max, I installed on T-Mobile Note 3 with Jedi on it. Everything finally worked as demonstrated in video, except I don’t have an control in settings for “Music Effects”. Is all of this for naught without that last important step? Jimmy, thanks so much for the post, but I’m not seeing that. Perhaps because I’ve installed Jedi? Thoughts? I did everything but i have no music effect button in my sound menu, so what do i do now? I can’t find tunnel.decode. I haven’t rebooted yet. Is this a problem, have I just totally screwed up my system. Most of you guys are probably running 4.3. If you’re not running 4.4.2 yet just download viper4android from playstore! It’s the same thing!!! Just look for the one listed for 4.3 in the description. The rest of the description is in chinese but you’ll be able to see its for 4.3 The app itself is in english! Anyone who thinks it isn’t the same mod please do tell!! I’d love to hear why! Running sacs rom on Gs4, cant get viper to work. It wont install the driver. I have SU Pro. Thanks for any help. I don’t have any of those buil.prop files and viper won’t work even on third party music players! Help! Tried to install viper fx. But it won’t install since beats is prebuilt into my Dirty unicorn ROM for Hercules. Any way to still install viper? Thanks For Your Deep Explained Tutorial,This App i Awesome and no other app is even closer to it.. 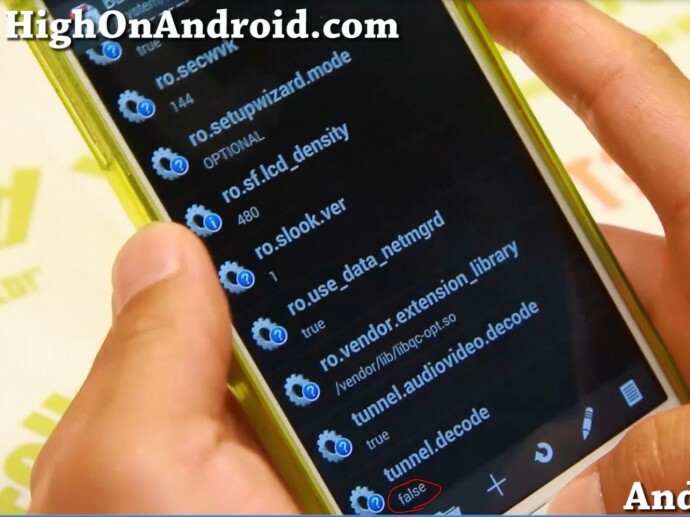 It Works Well on My New ASUS ZenFone 5 only You need to Have ROOT Access…. Hey Max. Will this program run with android 5.0? I see that it says to use only for 2.3 and 4.x android devices? what for you is the best music player for Samsung galaxy s2 i-9100 rooted ? is there an update for android 5.0? Next story Google Glass Review and See-Through Demo!